We pride ourselves on being the most innovative light, stage, sound and AV sales company in Scotland. We have a constantly expanding range of the latest, high-quality equipment from the leading manufacturers. Because we have long-standing relationships with our suppliers, you benefit from great value prices and the latest technology. Our impressive sales stock is complemented by our unrivalled advice and customer support. Our sales staff are all experts at what they do and are on hand to help you make the right choice and offer you any back up and support that you need. 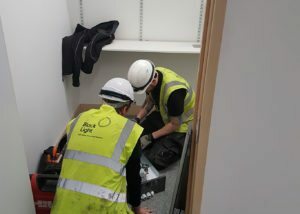 We can also supply technicians to help set up our products and show you how to operate them. 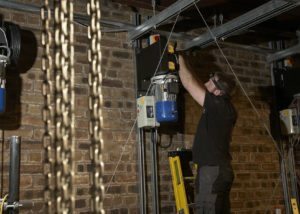 We provide a maintenance service package to test, service and maintain light, stage, sound and AV equipment, giving you the peace of mind that comes from knowing that your equipment is being protected and cared for on a regular basis by expert technicians. Regular maintenance can increase the lifespan of your products and ensure health and safety requirements are met. Our project management experience, combined with our technical and design knowledge, installation expertise and purchasing ability, means that we are ideally qualified to maintain your systems.